Those bounce-back games can cut both ways. On Saturday afternoon at Reese Court, it was visiting Montana State that needed a little pick-me-up. 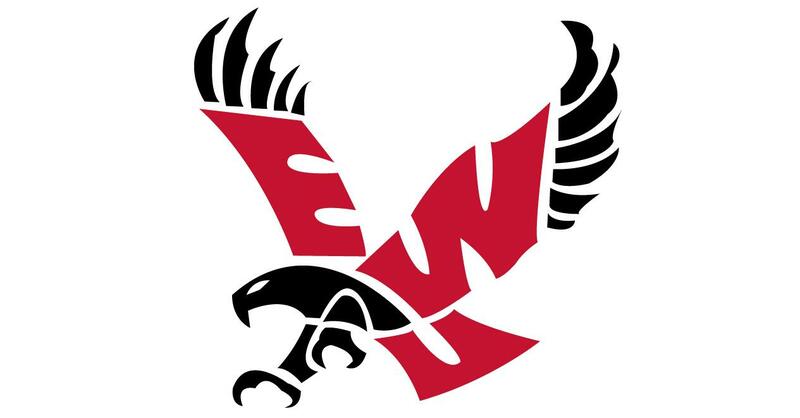 Meanwhile, Eastern Washington was coming off its biggest win over the season, Thursday night over Big Sky Conference leader Montana. But if this were a trap game, the Eagles barely noticed. They were too busy making clutch plays on both ends of the court to take an important 84-79 win over the Bobcats. The Eagles shot 50 percent from the field, dominated on the boards and had another stellar day at the foul line to cap a sweep of the Montana schools. “The sweep was huge, especially against the Montana schools and the positions they are in,” coach Shantay Legans said. More important, they improved to 14-13 overall and stayed in fourth place in the Big Sky at 9-5 – not a bad way to bounce back after losses at Portland State and Idaho. They also did it in entertaining fashion in a battle of contrasting styles, epitomized by the stars on both teams – not to mention the 10 ties and 15 lead changes. The last lead change came with 9 1/2 minutes left, on a layup by Bogdan Bliznyuk. That sparked an 8-0 run that gave Eastern some breathing room. The Bobcats (13-15, 6-9) rallied to tie the game at 74 with 2 minutes, 15 seconds left. Eastern answered by going to Bliznyuk, who finished with a game-high 25 points, nine rebounds and nine assists. With 1:58 left, he rebounded his missed layup and drew a foul on the play, giving Eastern the lead for good. MSU didn’t get a field goal the rest of the way. Bliznyuk and Cody Benzel hit six foul shots in the last 26 seconds to put the game away. “Our guys stuck with the game plan and fought through some things,” Legans said. “We were able to separate it a little bit in the second half and made it a multipossession game, then it was hard for them to get back in it. Neither could Peatling, who made the most of MSU’s focus on Bliznyuk’s driving game. Perfect timing on his cuts resulted in 9-for-10 shooting and 19 points. Peatling’s stature has grown partly because of a foot injury suffered by fellow Australian Jesse Hunt, who aggravated the injury on Thursday and may be lost for the season. The expected showdown between Bliznyuk and MSU sharpshooter Tyler Hall – the Nos. 3 and 5 scorers in the conference, respectively, didn’t materialize until the second half. Hall, perhaps the most dynamic player in the conference and a legitimate NBA prospect, finished with 22 points, but missed 7 of 10 long-range shots. Eastern was 30 for 60 from the field and 10 for 26 from beyond the arc. Jack Perry and Cody Benzel had 11 points each. Eastern was 14 for 15 from the line, including 9-for-9 from Bliznyuk, who’s made 63 straight dating back to Dec. 31. The Eagles led for most of the first half, but a 12-2 run gave MSU a 40-38 lead at intermission. EWU is on the road Thursday at second-place Weber State. Published: Feb. 17, 2018, 4:36 p.m. Updated: Feb. 17, 2018, 7:33 p.m.